The Best Sports Bar in the Triangle: Tobacco Road Sports Cafe! There are sports bars and then there are SPORTS bars! Tobacco Road Sports Cafe in Durham falls into the latter category, going above and beyond your usual expectations. 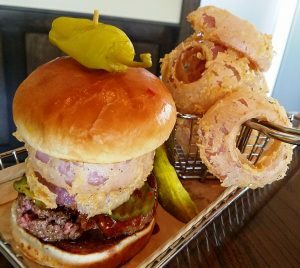 While they do have the ubiquitous wings, burgers and light beer, Tobacco Road Sports ups the ante with a slew of more sophisticated dining options without breaking the bank. And while the Raleigh Tobacco Road Sports is pretty impressive, the Durham location blows it out of the water! You can do it all here: catch up on the latest game, grab a hearty dinner or dine on the patio with Durham Bulls baseball in the backdrop. 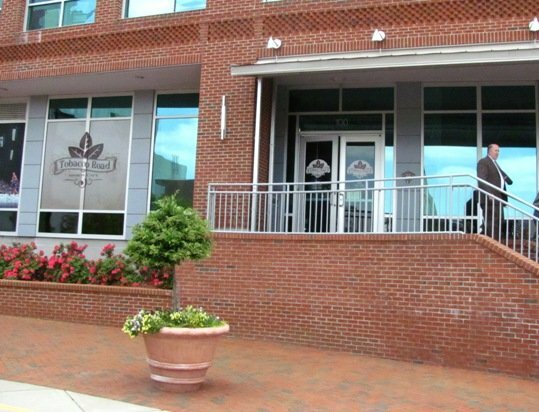 Located between the Durham Performing Arts Center and Durham Bulls Athletic Park, Tobacco Road Sports has an amazingly convenient location for apres-theater dinner or maybe post-game drinks. 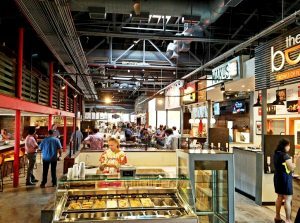 Walk by the fountain in front, pop up the stairs and you won’t expect much but… Inside Tobacco Road Sports is deep and spacious, surrounded by a large wrap-around patio. To the right is a quieter dining room for a more peaceful dinner, sans TV. Further in you’ve got a lengthy bar with a row of hi-top seating. On the left, four-tops and a row of stuffed recliners in front of a massive set of high-def TV’s. You’ve got a game going on pretty everywhere you look, perfect for sports-nuts like myself! 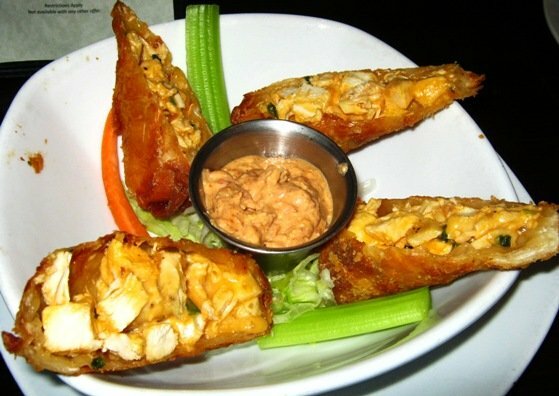 Crack open their lengthy menu and start with a delicious appetizer. I’d recommend the buffalo chicken egg rolls and Tobacco Road nachos. The crispy egg rolls are stuffed with shredded chicken and a bit of spice. 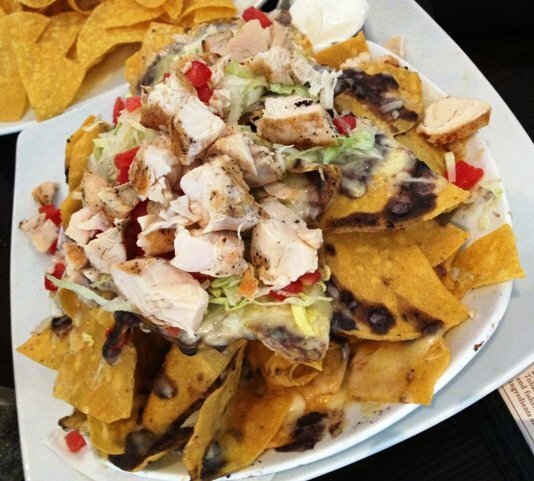 The nachos are amazingly good, a heaping pile of flour chips, drizzled with cheese sauce and black bean puree. 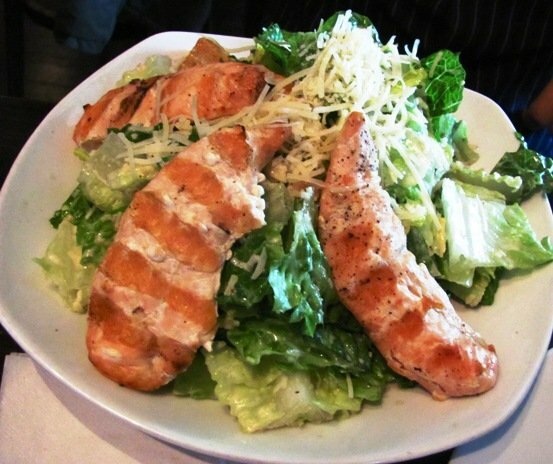 Add some chicken or steak and make it a great appetizer for four or more. The lettuce wraps with chicken or shrimp are an excellent value, full of Asian sesame flavor. And a nice choice of local micro-brews means you won’t be suffering with your adult bevvies! For the main meal, Tobacco Road Sports does a fantastic job with their sandwiches. The cheesesteak is my favorite, grilled shaved steak, melted cheese and topped with fried onion strings, deelish! 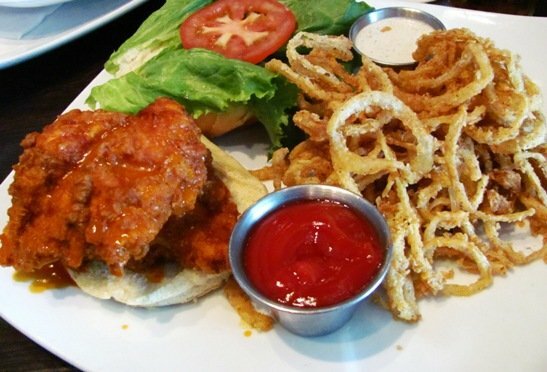 The buffalo chicken sandwich is for the very hungry. Two thick fried chicken patties smothered in tangy buffalo sauce, wow! And don’t miss Tobacco Road’s entrees like the St. Louis ribs and country-frizzled chicken. 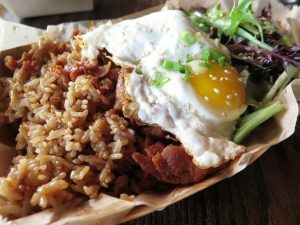 Everything I’ve eaten at Tobacco Road Sports is well-prepared and full of flavor; portions are large so you should share if you aren’t too hungry. Service at Tobacco Road is always decent but suffers a bit on days when there’s a popular Broadway show or game playing. 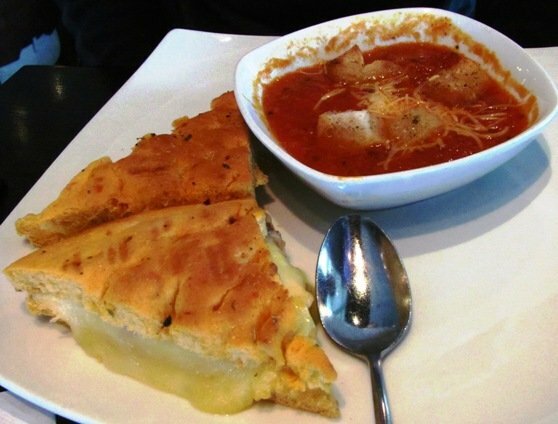 Given its location right next to DPAC, its a very popular place for a bite to eat before or after a show (open until 2am with the full menu). So plan your meal accordingly. Beyond the regular tables seated by the hostess you’ve got the option to eat at the bar, first come, first served. There’s also seating on the patio on the other side of the bar if the place is really jammed. But in general the staff is aware of time constraints for show-goers and will get you in and out quickly. Beyond the food, great beer and solid service is the most important feature of Tobacco Road Sports in Durham, the patio! Located right above the Blue Monster for the Durham Bulls Ballpark, you can catch the game with better food than ballpark dogs, popcorn and peanuts. Parts of the patio are enclosed but on the good days, you’ll have plenty of sunshine to enjoy your meal. During one of my last patio visits, a home-run ball blasted to left field hit the table next to us scattering cups and silverware everywhere, way cool! So yeah, I really enjoy Tobacco Road Sports, it works in so many ways with its convenient location, great food, late hours and amenities. 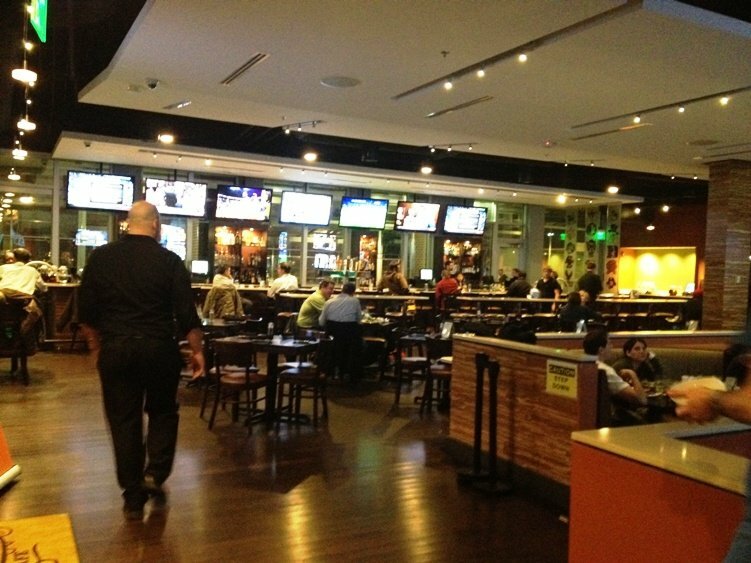 With food a cut above most sports bar it’s probably THE best option to catch a televised game in the area. And don’t miss out on their happy hour ($3 appetizers, Monday – Friday) and drink specials. So bon appetit sports fans, whether you’re a State, Duke or Carolina fan, one thing we can all agree on is that you’ll be full of baseball and great food after dining at Tobacco Road Sports in Durham!